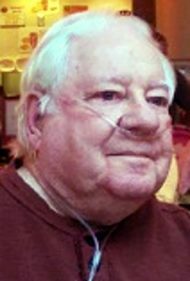 Hugh I. Reno, 87, of Elizabethtown, went home to be with his Lord, Savior and best friend Thursday, March 21, 2019. Born May 29, 1931 in Lancaster to the late Irving and Cora (Lutz) Reno. Hugh proudly served in the U.S. Navy from 1950 until 1954 as a Boatswain Mate. He retired from Armstrong World Industries after more than 40 years of service as a Millright. Hugh was a member of the Trinity Full Gospel Chapel, Elizabethtown. Hugh’s happiest days were spent at the beach at Ocean City, Maryland, and spending the holidays with his family and grandkids. He is survived by his beloved wife of 64 years, Ethel M. (Sweigart) Reno; his four children, Rory Reno and his wife Robin, Wanda Brosey and her husband Mark, Dawn Reno, and Tara Hayford and her husband Charles; and two grandsons, Reno Brosey and his wife Karissa and Wyatt Brosey. He was preceded in death by his sister, Faye Gingrich. Private services will be held at a later date at the convenience of the family. I had the privilege of working with Hugh at Armstrong, his wisdom and knowledge guided me to be a better mechanic/machinist at work, but more important a better person throughout life. He may fade from my mind but will always remain in my heart. I’m sorry for your loss. May God comfort you.